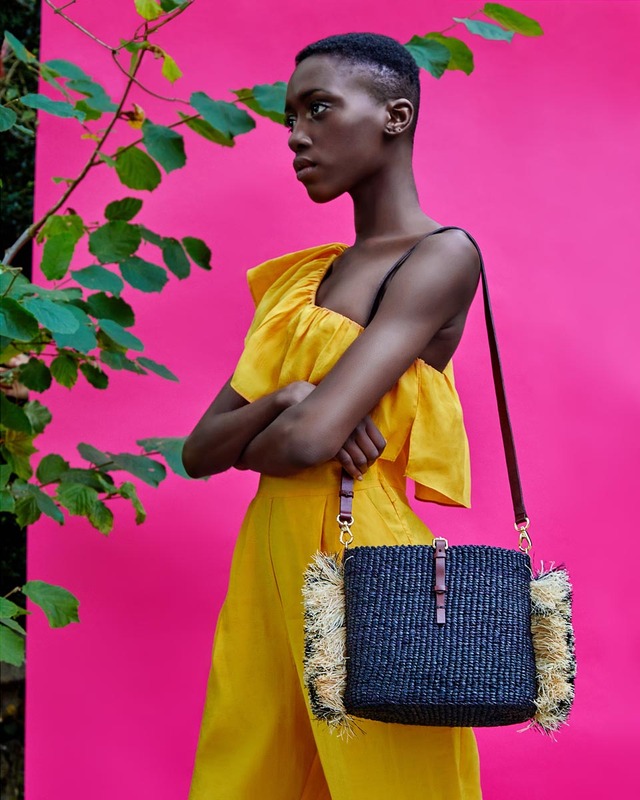 Akosua Afriyie-Kumi’s ethical fashion brand AAKS has been producing handcrafted luxury handbags in Ghana since 2014 and these days she's spreading the love worldwide. The designer blends traditional African textiles and craftsmanship with contemporary designs – an approach that is a result of her experiences both at home and abroad as well as a reflection of how deeply interwoven she is with her canny business strategy and heartfelt creative vision. And as her blazing SS17/18 collection makes abundantly clear, she’s rather partial to African sunsets, too. Finding a craft specific to Ghana felt serendipitous for a young designer looking to bring African identity to the fashion forefront. “Coming from Ghana and having weavers here who make these baskets was just perfect,” she says. Each bag takes up to a week to make, during which it’s twisted, dyed and handcrafted to her specifications by one of the 30 weavers that she now employs. Each collection has proved more popular than the last, thanks in part to her beautiful Instagram feed, and she hopes that with the growing success of the brand, she can build her own weaving centre so that she can expand into other categories including interior objects and hats.